Waterloo is the city in the Southern Ontario, Canada. The city has the headquarters of the powerful technology company Blueberry and several other reputed technology companies. You can acquire an industry oriented and knowledge-based training at par with the demands worldwide. 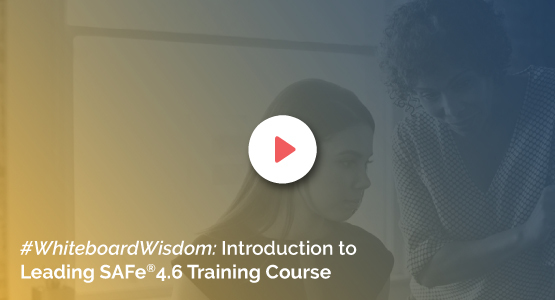 KnowledgeHut coaching center presents you with Leading SAFe 4.5 training in Waterloo. Enroll with the institute in your city and be a Leading SAFe 4.5 certified professional. When an organization is looking for a new change internally, Scaled Agile Framework will help them embrace the changes easily. After getting SAFe certified, you can easily apply Lean-Agile principles within the organization. Leading SAFe 4.5 course is available as classroom and online courses in Waterloo. This course is highly recommended for the candidates who have experience in Scrum, software development, testing, business analysis, product, or project management. The course registration fee includes the first exam attempt and free reference materials. The 90 minutes online exam will be conducted after completing the Leading SAFe 4.5 workshop. The course will be conducted by the best trainers in Waterloo who have years of real time experience in diverse domains.